Mermaids? Mermaids? “Say it ain’t so Joe!” I know I hear you, but wait, just stay with me. It is true, I am very methodical, and grounded in logic, particularly when it comes to science and history (my belief in a Supreme Being not withstanding). I follow the data, collect the evidence, and analyze the results. I take an all-inclusive approach to what I find. I don’t like data that seems to not fit. My research into the wreckage on the ocean floor of the RMS Titanic is an example of this attitude at work. I know all the evidence does fit, and it tells a unique story. If there is something that does not seem to fit in the story, something we cannot support with science and an all-inclusive explanation, then we are telling the story wrong. One phrase I never use is, “Yeah, well that must have happened when … .” There are no “must have’s.” All the answers are in the evidence. But, mermaids? Mermaids? Yes mermaids. No, not Disney’s Ariel, not that kind of mermaid. My daughter loves Ariel. Once when she was six, and talking about mermaids to me, she suddenly said, “I know mermaids are not real daddy, but I wish they were.” Then she went right back to talking about mermaids. But, I am not talking about fictional mermaids. 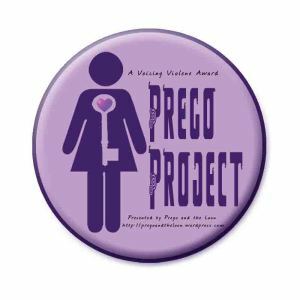 I am talking about real, flesh, and blood mermaids. Not exactly the type of topic we usually discuss. I mean mermaids are just myth or legend – right? Sure, in Weeki Wachee Aquatic State Park in Florida, they have mermaids, but they are women in suits. No suits, no cartoons, no fiction I am talking about real mermaids; living, breathing, swimming mermaids. The oldest stories of mermaids come from Assyria, more than 3,000 years ago. In ancient Greece, they were called sirens. From around the world, in every culture, we have mermaid folklore. Stories passed down through history telling us of sightings and interaction between people and mermaids. Even Columbus on his voyage to the New World, wrote in his logs of sighting mermaids in the New World. Edward Teach, the famed and feared pirate Blackbeard, believed in mermaids and ordered his men to steer his ships clear of waters where he believed they lived. From Australia to Arabia, Africa to Russia, Asia to Scandinavia, North America to South America there are stories of mermaids; it is a worldwide phenomena. So, what do scientists have to say about mermaids? The scientists tell us that mermaids are the myths of sailors. 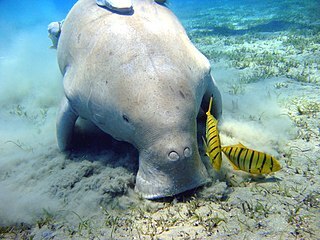 Scientist say the sailors have mistaken manatees or dugongs for mermaids. I grew up on the St. Johns River, swimming and fishing within its waters, one of the seasonal homes of the manatee. I learned as a small boy, if you are still and do not chase them, manatee will come right up to you. Manatees are a gentle and curious giant, but one that could never be mistaken for a woman as you can tell by the photographs. 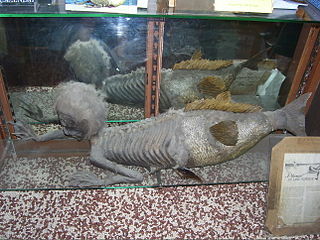 P. T. Barnum exhibited what he called the Fiji mermaid. Later, the Fiji mermaid proved to be a fake made possible by taxidermy, half monkey and half fish. Barnum’s Fiji mermaid was lost when his museum burned down in the 1860’s. Dr. J. Griffin supposedly caught Barnum’s mermaid in 1842, and it went on display in Barnum’s museum in June 1842. Though Barnum’s mermaid was lost in the 1860’s fire, there are “fake Fiji mermaid fakes” that can still be seen. Each one is supposedly the original Barnum Fiji mermaid. I saw one at the Ripley Museum in St. Augustine, Florida. Other Barnum mermaids are at other curiosity museums and sideshows around the world. The Indian Trading Post in Banff Alberta has the Banff merman, which was created by the same method. Other fakes include photographs that showed up on the internet after the 2004 tsunami. Supposedly, these mermaids washed up on the shore after the tsunami, these were made in the same manner as the Fiji mermaid fake. In August 2009, mermaids were supposedly sighted and filmed off the coast of Kiryat Yam, Israel. The city offered a million dollar reward to anyone proving the existence of mermaids, the city still has its million dollars. In 2012, work on a reservoir in Zimbabwe stopped when the workers claimed they were chased away by mermaids. The best was yet to come, and not once but twice. The cable channel Animal Planet aired a special in May 2012, call “Mermaids: The Body Found.” It was a television docufiction. Written and filmed like a documentary it was pure fiction. They even had actors playing scientists with NOAA (National Oceanic and Atmospheric Administration, an agency of the United States government). The response was so great, that two months later NOAA was forced to release a statement saying that no evidence has ever been found of mermaids. In May 2013, Animal Planet was back with a sequel, “Mermaids: The New Evidence.” Once again, NOAA was forced to release a statement denying the existence of mermaids, and this time including a statement pointing out that the person identified as a NOAA scientist is actually an actor and no scientist by that name had ever worked for NOAA. So, here we are, no evidence (fossils or bodies) has ever been found to support the idea that mermaids do now or have ever existed. Every photograph and film of a mermaid has proved to be a fake, and even the “actual” mermaids who have been put on display have proved to be fakes. Scientists say the sincere reported sightings, are people mistaking manatees and dugongs for mermaids. If that were not enough, my six year old daughter (almost nine now) knows mermaids are not real. With all the writing projects in my “in box,” why have I taken two weeks of my time to investigate mermaids? Like I said, if all the evidence does not fit the conclusion, then we have the wrong conclusion. Mermaids are not manatees or dugongs. What mermaids are is … oops, we are out of time. We will finish this next week. Have a great week and see you next Sunday for the conclusion of our mermaid series. I just got back from my daily walk-about. Walk-about, I love that phrase, I borrow it from my Australian friends. Though their walk-abouts are longer than mine, I’ll still trek around for a few hours. I have always believed that if you want to see America, real America, meet its people and find out about it you have to spend shoe leather. I have met some great people while on my feet. People like a police dog on his first day on the job in Ohio, and a guy and his dog walking across America (both of them with their own backpack), then there is John at the Napa store in Guadalupe, California. John may run the Napa store, but John really is a historian. Not the kind in a university, no John is my kind of historian. He is the kind of historian who knows his neighbors and welcomes strangers. John is one of those rare men who know all about his town and its people. Not the gossiping kind, no John is an historian of the best kind, and he doesn’t mind telling you the history of his little town, if you have a few minutes. Today I visited the Signorelli family. I didn’t stay with them long and no words passed between us. But, I spent quite a bit of time thinking about them as I went on the rest of my walk-about. I mean what do I know about them, really. Well there is Rosa and Celestino, Celestino’s older brother Emilio (he never married), and younger sister Neva. Then Alfred, he is the youngest of the four, oh and Alfred’s wife Mary. I could see they endured pain. But, there was love too, the love of a large family, and the love of family still remembered. I had to know. Who were the Signorelli’s. I got home from my walk-about and set about trying to find out about the Signorelli’s. Celestino was the second of seven children. He was born in Italy. His father moved the family to Switzerland when Celestino was seven-years-old. Then his father went to work in the coalmines of Africa where he died. By the time Celstino was twenty-years-old he already had two brothers and a sister living in California, and so he set out for America. He left Le Havre, France on October 14th, he sailed on the Savoy and reached New York city on October 26, making arrangements for the rest of his family to follow him the following January. Celestino became a rancher and farmer, then he went into business with his brother-in-law. After that, Celstino went into the hotel business which he did for a year and a half before he went back to ranching (milk cows). Rosa and Celestino had five children but lost two of them. Celestino started out very poor, but through hard work he made a good life for himself and his family. Alfred married a local girl, Mary Belloni. And, just as his brother before him became a successful farmer. As I read about the Signorelli family I saw a family who started out in poverty, leaving their native Italy for Switzerland, but still unable to shake the bonds of poverty. They left Switzerland they came to America and settled in central California. Through hard work, they provided a good life for their family and became active and important members of a new, but growing community. I like the Signorelli family, I like them a lot. I have a lot in common with the Signorelli family; you have a lot in common with the Signorelli family. You see our triumphs and tragedies are not new. One hundred years ago, Alfred and Celestino went through the same trials and had the same celebrations you and I do. 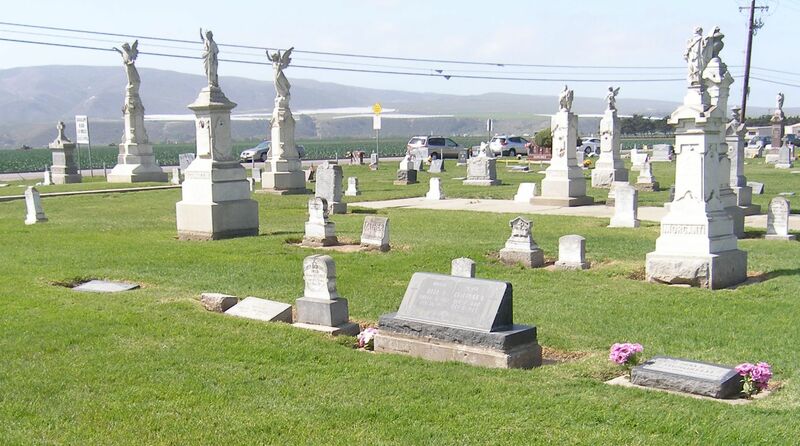 They made it, and they did such a good job at creating a family of love and hope, that even to this day, fifty years after their deaths, you can still find flowers on the graves. Yup, I like the Signorelli family. I think I have to ask John about them tomorrow. I remember some kids on the playground making fun of a classmate because he was adopted. They did not let up until he was crying. The next day this kid came back to school, and again the bullies started to make fun of him because he was adopted. In many ways, America is like that child. Immigrants to America could have stayed in their native land or they could have chosen to go to any other country. But, they chose America. They chose America because of Americans before us who believed in a land of equal opportunity, a land of equal protection under the law, a land of freedom. Americans before us believed in these principles, lived, by these principles, and taught these principles to their children. They defended these principles with their words, with their actions, and with their blood. The immigrants who come here to be American have sacrificed just as much on their long and arduous journey to our shores. They are American. In addition to the trade deficit, America has an immigrant deficit too. That immigrant deficit exists because of men and women like those who mentored me. They taught me the American dream, their version. In their version each man and woman is free to live their life to the fullest extent they are able. To build a life which enables them to follow the “pursuit of happiness” as outlined in the American Declaration of Independence. A pursuit that enables them to have a better life than their parents, and their children to have a better life than they have. In their version, we are also our brother’s keeper. However, as Jesus pointed out to his disciples there will always be the poor. Though, this fact does not free us from our responsibility. But, it is not possible for one person to help everyone throughout the world who is in need of help. So, what do we do? You help those who cross your path. You help those who are ready to reach out, stand on their own, and pursue their own happiness. The ones who just need a little help to stand, they are ready to do the reaching on their own. No, you cannot help everyone. But, every day you can help someone. And today, that one someone is enough – for today. Some people will say derisively, “That is not the American dream. Americans are not the only ones who want that. Everyone wants that.” No, everyone does not want that. If every person in every nation wanted that, then American would not have an immigrant deficit. There are many in the world that do not have a live and let live attitude. They do not believe they are their brother’s keeper, they believe they are their brother’s master. They believe in death to those who believe different than they do. Children are not born to hate, they are taught hate by people who live by a different dream, a dream of mastery instead of a dream of brotherhood. That is their dream, a dream they teach to their children. So, what do you do? Pompeii was destroyed on 24 August 79 AD. The last several years before Pompeii’s destruction were volatile in the Roman Empire. Just two months and one day before Pompeii was destroyed, Emperor Vespasian died. Six years before, the First Jewish War ended with the fall of Masada after a siege of several months. In 69 AD, Emperor Nero committed suicide plunging Rome into a yearlong civil war, which the Romans called “The Year of Four Emperors.” Most telling was an earlier eruption of Vesuvius in 63 AD, which caused extensive damage in Pompeii and nearby Herculaneum. Pompeii was a city of 20,000, including the suburbs outside the city walls. A small city, right? But the world population is 35 times larger today. That is the relative equivalent of a city of 700,000 today. If Pompeii were a modern city in the United States with the same relative population, it would be a city of 700,000, and the 19th largest city in the United States. Pompeii would be larger than El Paso, Boston, Seattle, Denver, Baltimore, Portland, Atlanta, Cleveland and many more cities in the United States. Pompeii was actually a large seaport city the Roman Empire. Pompeii was also a resort city where many wealthy Romans had second homes, even Nero had a villa in Pompeii (his wife was from Pompeii). Rome is about 150 miles from Pompeii. Goods were shipped all over the Roman Empire from Pompeii, and Rome had a major naval base in Misenum on the other side of the Bay of Naples, across from Pompeii. Pliny the Elder was a senior Roman official, the commander of the naval fleet in Misenum and had his own villa nearby. Pompeii had many of the amenities of a medium to large size city; market places (grocery and retail stores) laundries (dry cleaners), amphitheaters (sports and entertainment), public baths (spa’s), palestra’s (gym), livery (transportation), restaurants, bars, bakeries, family owned and run businesses, hotels, and of course there was the forum (mall) as well as brothels (over 40 in Pompeii), and many more businesses we would recognize today. They also had many of the same problems of our modern cities including crime and graffiti. On the morning of 24 August, Pliny the Elder saw a mushroom cloud rise over the mountains and decided to investigate. But before he could leave his villa he received a message asking for help in evacuating the danger zone. He immediately ordered the fleet to help in a rescue attempt and left with his ships. The eruption had been preceded by earthquakes, but thay had been so numerous no one gave them much thought. The volcano put so much debris into the sky that it blocked all sunlight. That night a pyroclastic cloud descended Vesuvius with such speed and heat that the people of Herculaneum died instantly, the flesh melting from their bodies. Pompeii was a few more miles away and by the time the pyroclastic cloud reached the city, the temperature had gone down enough that the people survived, this time. The next day the people of Pompeii were not so lucky. The fourth pyroclastic cloud to descend the mountain was hot enough to kill the people instantly, but it left their bodies and even their clothes intact. Altogether six pyroclastic clouds rolled down Vesuvius. Today the volcano is still active. If the next eruption is strong enough it could even threaten Naples.